Steam Train Tours. Book online! - Sunshine Express. Since 1957. We currently do not have upcoming Tours. On 19th May 1933, six enthusiasts met in Sydney and formed the Great Railway Circle of Australia. In May 1936 the name was changed to Australian Railway and Locomotive Historical Society and further changed to Australian Railway Historical Society in August of 1952. Membership grew steadily and in 1945 a Division was formed in Victoria. Other Divisions were subsequently formed in the South Australia in 1952, Queensland in 1957, Western Australia in 1959, Tasmania in 1965 and finally the ACT (Canberra) in 1967. After its original formation The Australian Railway Historical Society – Queensland Division was incorporated in 1968 as a non-profit company with liability limited by guarantee. It has one regional Committee in Townsville. The different State divisions have all developed separate interests and activities, with four operating museums, three operating railways as well as seven State-based magazines currently in production. The countless magazine issues, books, special trains and meetings stand as testament to Australia’s greatest railway preservation group. Members of the Society could be described as “mechanical greenies” and heritage “doers”; women and men of all ages who come from all walks of life who share a common interest in railways and who enjoy one or more of the myriad of activities available to members of the Society. The objects of the Society are to promote the appreciation of railway heritage and to maintain authenticity in the recording and preservation of this heritage for the people of Queensland. This photo taken in 1964 features some of the original founding members of the ARHS – QLD Division. 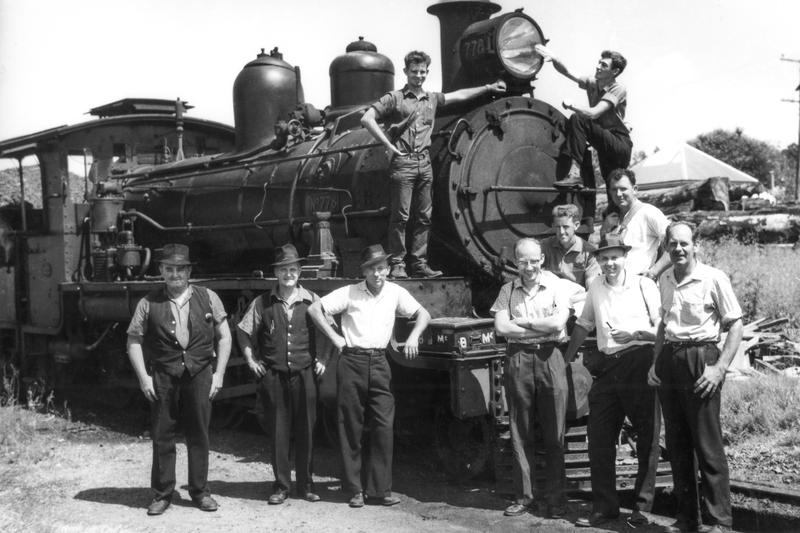 Located on the right-hand side of the Locomotive – John Knowles, John Armstrong and Bernie Southcomb. Located on either side of the smoke box are Teddy Hancox and Stan Moore. - Photo taken by Eric Marggraf. In the early years of Federation, two great railways were being built simultaneously across the far corners of the nation. One was the Commonwealth's Trans-Australian Railway, running east-west; the other was Queensland's North Coast Line. Both advanced Australia along the path of nationhood. In their time, they were Australia's longest individual railway projects, each stretching for more than 1000 miles and, upon completion, they differed by only eight miles in length. Both were begun by pick and shovel. 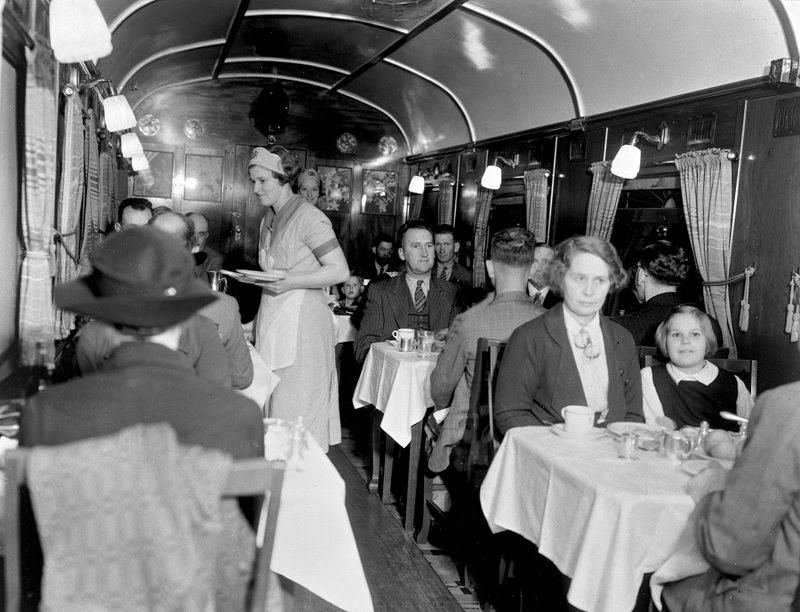 Two Scotsmen had influential roles in making the Sunshine Express a reality. Their expertise lay in money and mechanics. One was William Forgan Smith the Premier of Queensland and the other was Robert J. Chalmers, Chief Mechanical Engineer of the Queensland Railways. Both came from Glasgow. Decisive and a superb political tactician Forgan Smith was the undisputed leader of the Labor Party in Queensland. He led a government that invested in rail as part of its program to lead post-Depression Queensland toward better times 'Bobby' Chalmers, sometimes fiery tongued, impulsive and impatient guided the mechanical fortunes of the Queensland Railways for 14 years. At Ipswich he was a respected engineer and undisputed chief of the workshops he ruled.